You've found the smartest way to book vacation packages from Toronto to Timmins. Click a price below to see our unique vacation grid. It's very fast and has a calendar format for easy comparison. Our agents have been to Timmins - call us and we'll help you decide which hotel is right for you. Toronto to Timmins vacations are a perfect way to experience Canada and see Ontario for either a weekend or longer vacation. With natural beauty and excursions in and around the city, Timmins is growing as a cultural destination, and nature escape. Explore Timmins’ pioneer museum, exhibition park, or enjoy ice fishing and snow shoeing come winter. No matter your interests or travel group size, Timmins vacations from Toronto have something for everyone. Stay at the Cedar Meadows Resort and Spa, a 4-star accommodation to pamper yourself, or at the known Comfort Inn or Days Inn, for your busy, family-friendly vacation. 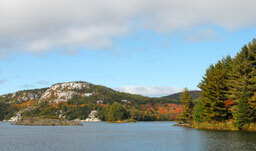 To book your next Timmins vacation from Toronto, call one of our travel agents at 1-800-665-4981.